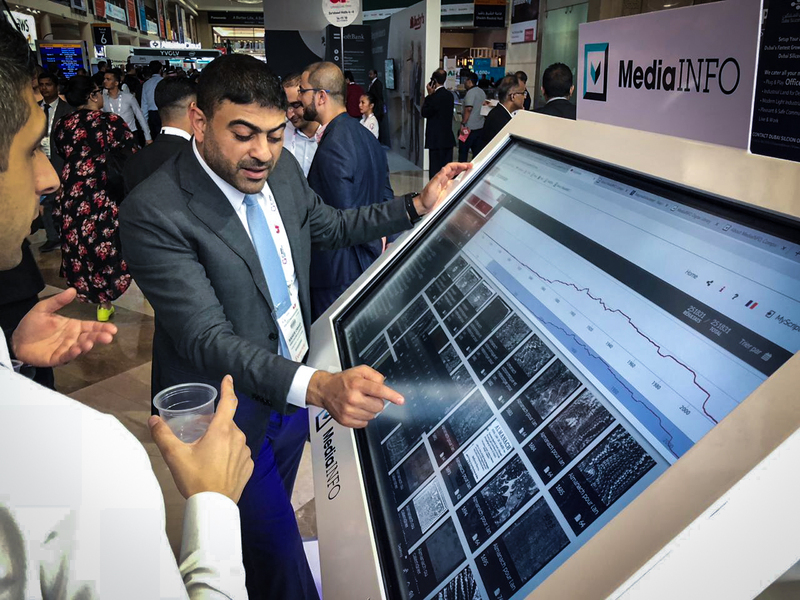 MediaINFO Digital Library took part at the Gitex 2018 at Dubai World Trade Centre. 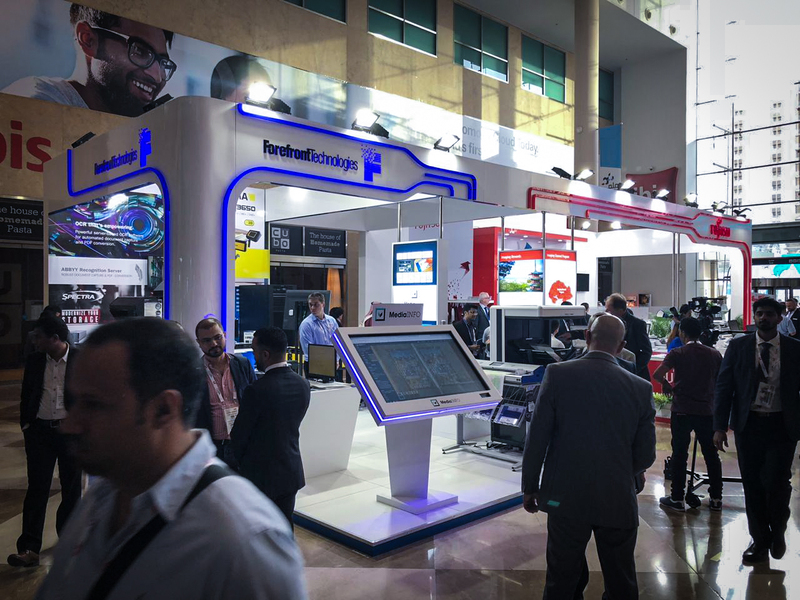 This was our fifth participation at the event and as all the years before, you were able to find us at the stand together with our partners Forefront Technologies. 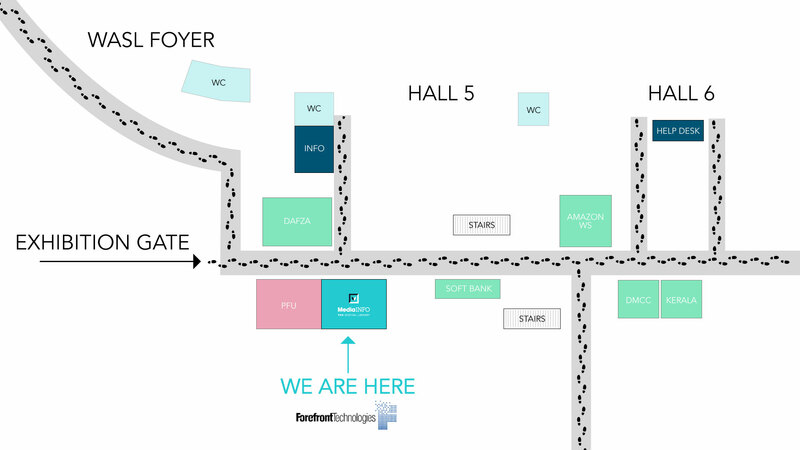 This year we were located in the Concourse area right at the main entrance, easy for you to find us, convenient for us to be spotted out. 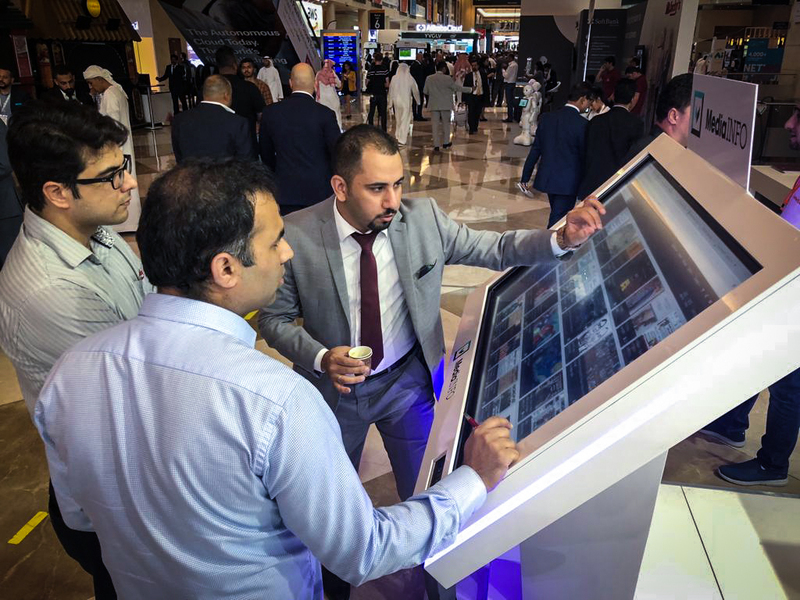 The Gulf Information Technology Exhibition (GITEX) is an annual consumer electronics and computer trade show, conference and exhibition that takes place in Dubai, and attracts numerous participants from across the globe. 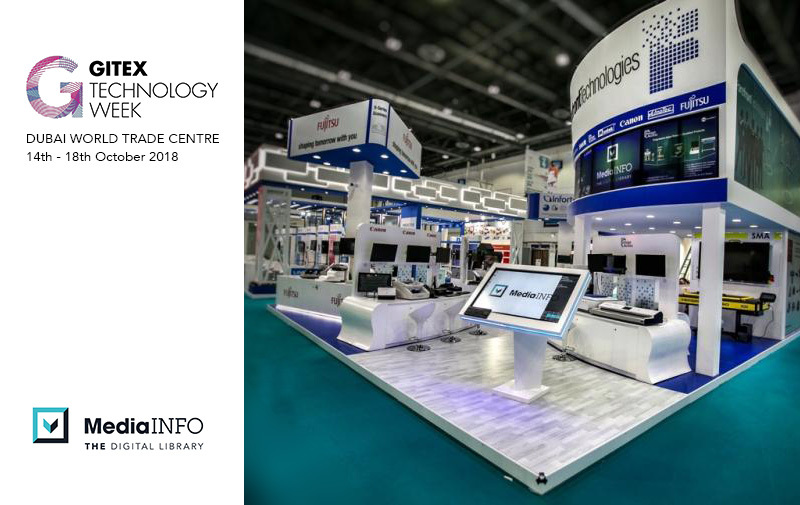 The GITEX Technology Week 2018 aims at showcasing the global technological advancements and innovations in the domain of consumer electronics. 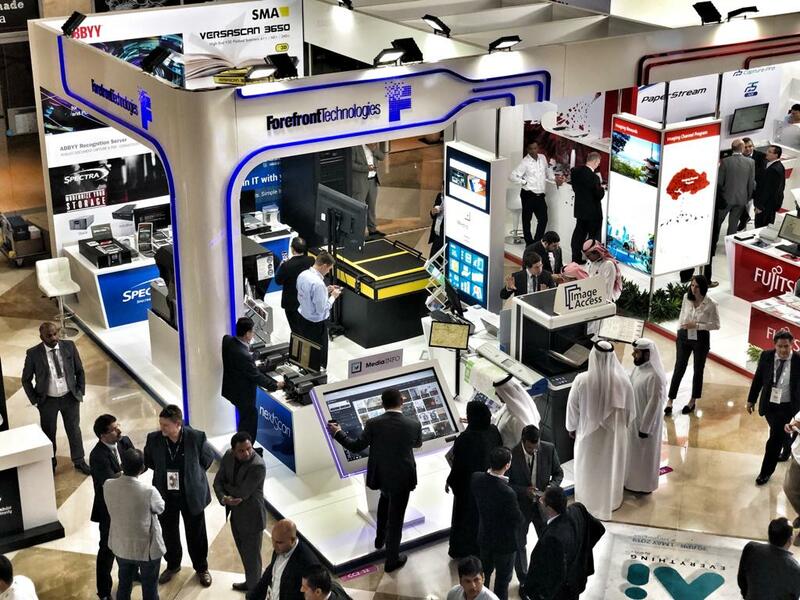 It will be held between October 14th (Sunday) and October 18th (Thursday) at the Dubai World Trade Centre. 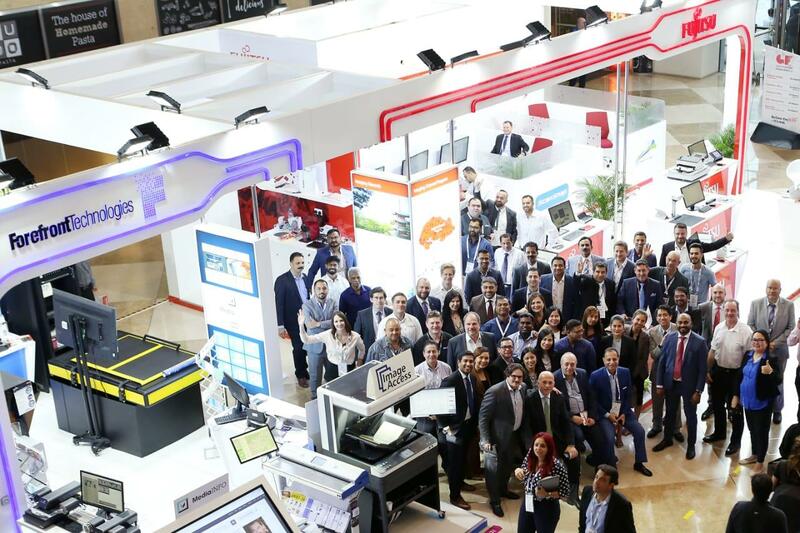 As the biggest tech event in Asia, Middle East and Africa, the GITEX Technology Week 2018 will host the key players representing 20 tech sectors and over 10 industry verticals. 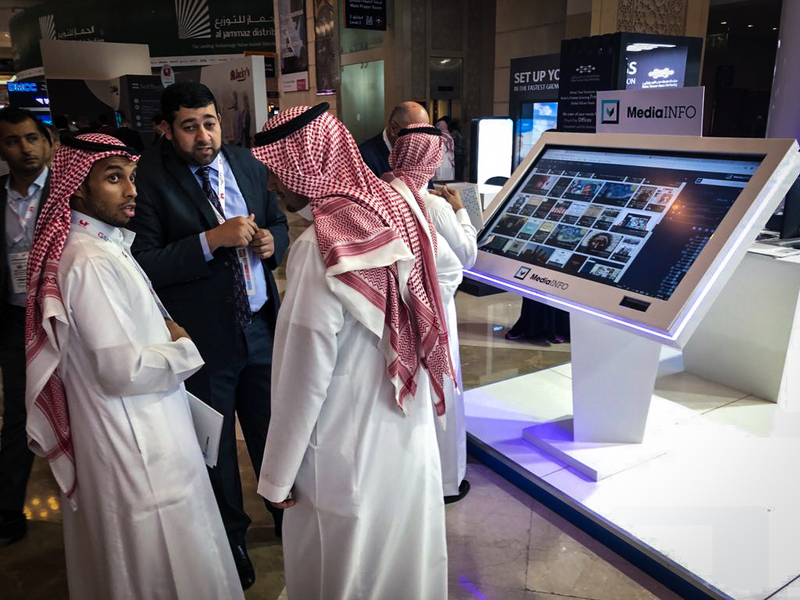 Professionals belonging to the technology industry, government decision makers, as well as innovators, futurists and corporate buyers will be a prominent part of this event. This event would provide the attendees with the opportunity to explore and gain new perspectives and explore innovative ideas, as well as expand their networking opportunities through facilitated business meetings, blockbuster showcases and enlightening briefings. More than 4000 world class exhibitors belonging to over 97 countries would be showcasing their innovative products at this event. 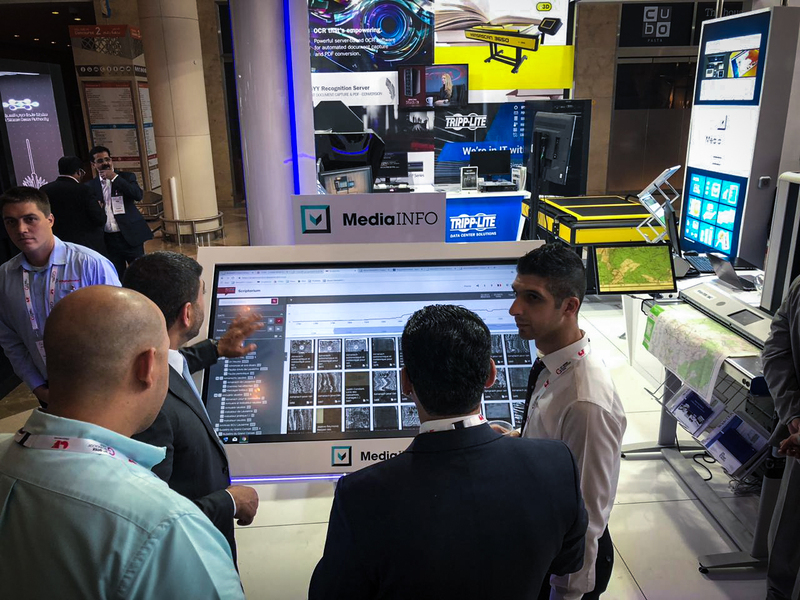 MediaINFO is powering some of the world’s most prestigious libraries, publishers, educational & government institutions, and magazines. It helps organizations utilize and re-use their content more effectively by leveraging past investments in content and re-purposing them for new audiences over a local network or the internet. 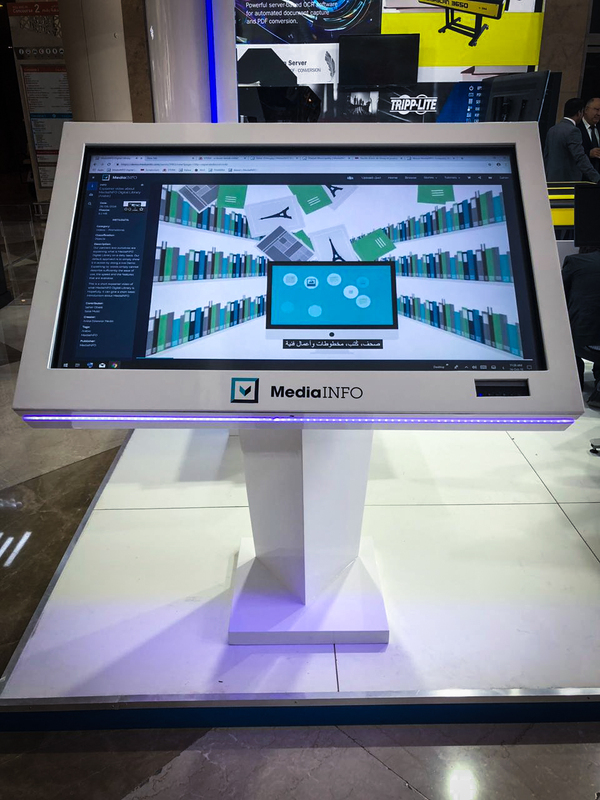 MediaINFO Digital Library software is developed by Geneza.